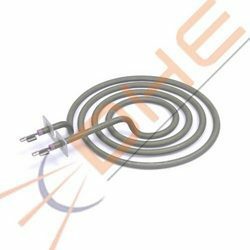 We are engaged in offering a wide range of Tubular Heater to our valued customers. Wires of these products are manufactured using NiCr alloys, which are resistant to high temperatures. Tubular Heaters are known for its sturdiness and accuracy. Our range of products includes tubular heaters with sealed edges, tubular heaters (air & immersion), tubular heaters for hot runner manifolds, industrial tubular heaters, special purpose tubular heaters, chrome nickel steel finish tubular heaters, tubular heaters, electrical industrial heaters-tubular heaters, tubular manifold heaters and manifold tubular heaters. We are leading manufacturer and supplier of wide range of Duct Tubular Heater. The client can avail from us as per their requirement. 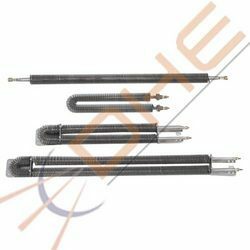 Our extensive industry experience makes us able to offer a collection of U Shape Heaters to our clients.Tubular Heaters offered by us are brought into application in Hot Runner Manifolds. Furthermore, these heaters are praised for its sealed ends which help to prevent moisture and dust. 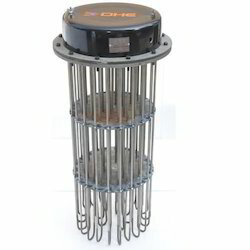 We are the leading manufacturer and wholesaler of a wide range of Tubular Heater. Tubular Heaters offered by us are brought into application in Hot Runner Manifolds. Furthermore, these heaters are praised for its sealed ends which help to prevent moisture and dust.